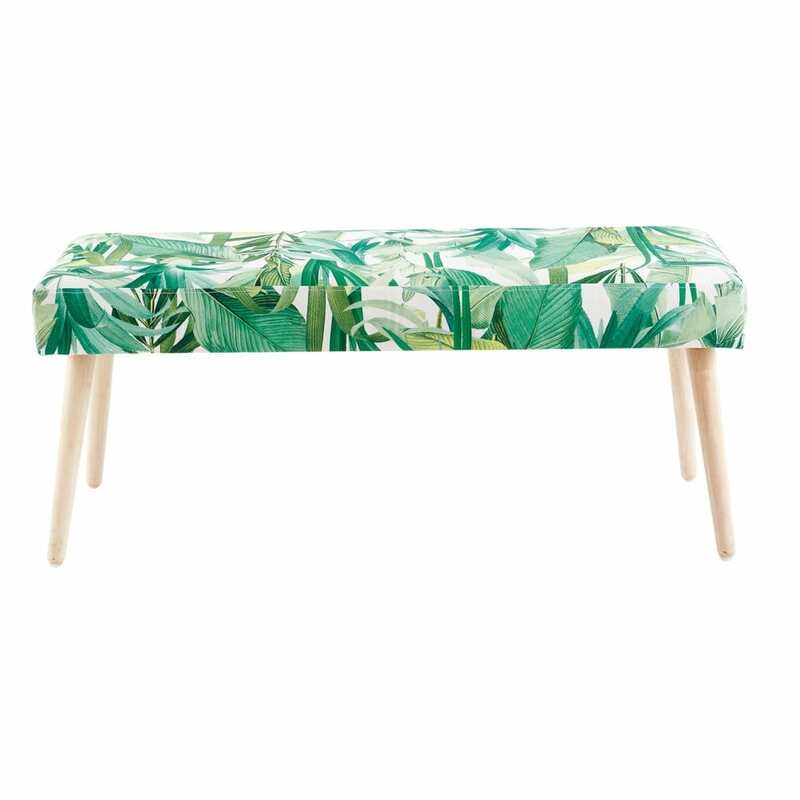 Cheer up your days with the TROPICALE Foliage Print Bench. 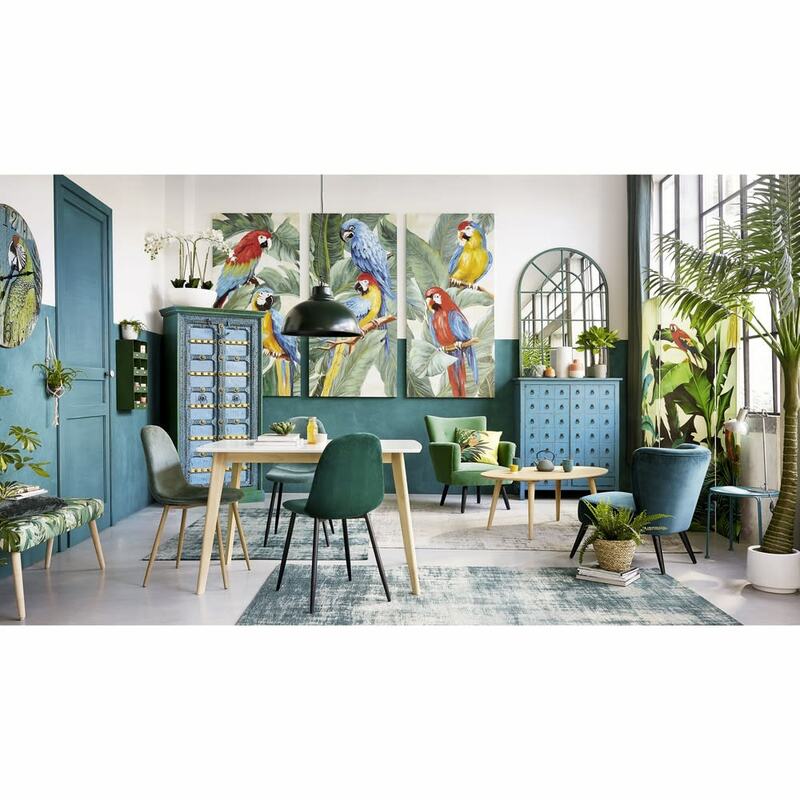 Make room for comfort with its cosy, welcoming seat. 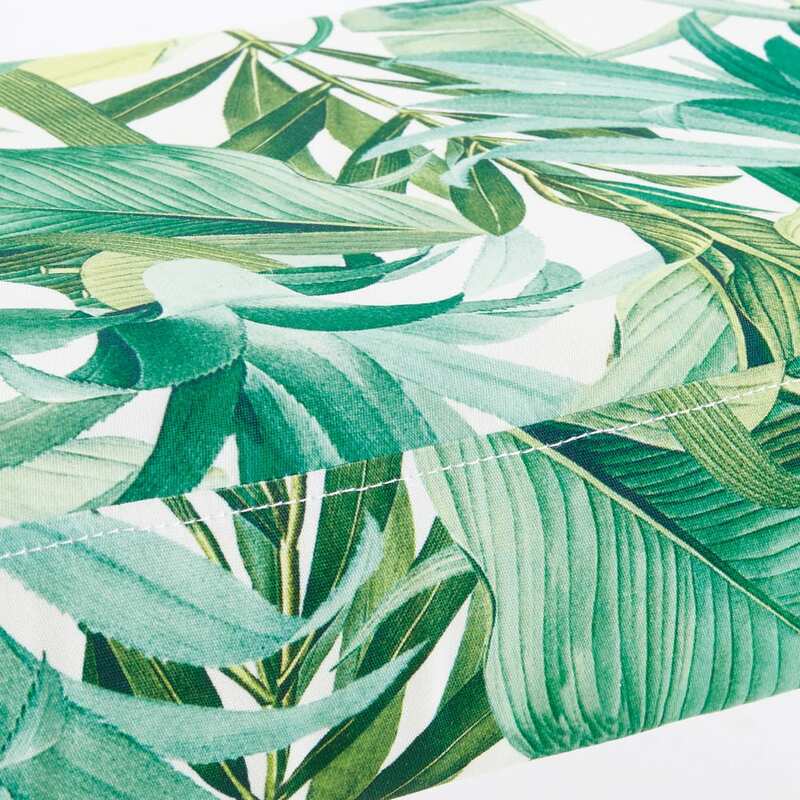 Balanced by its oblique legs, the upholstery features a luxurious print to add an exotic touch to your room. 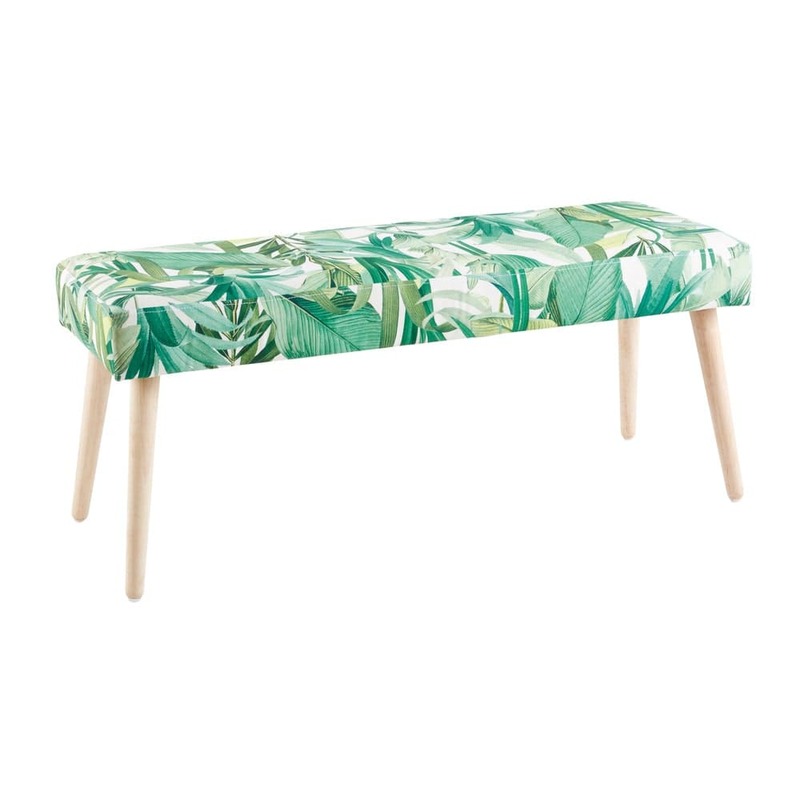 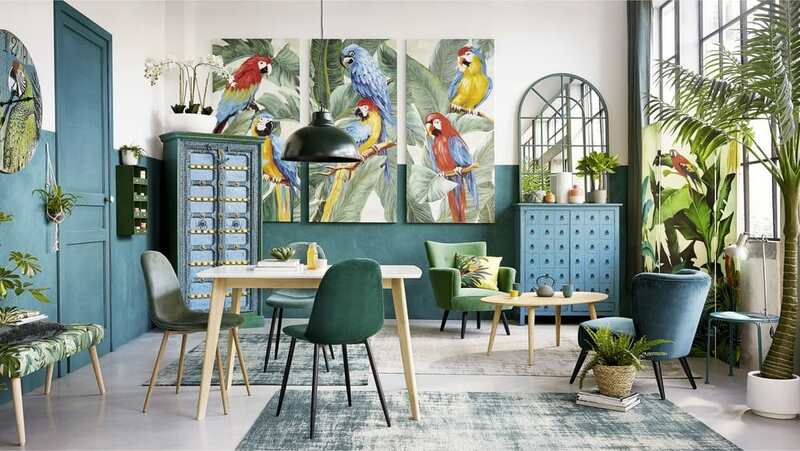 In a hallway or at the end of a bed, this jungle bench will bring your interior to life.